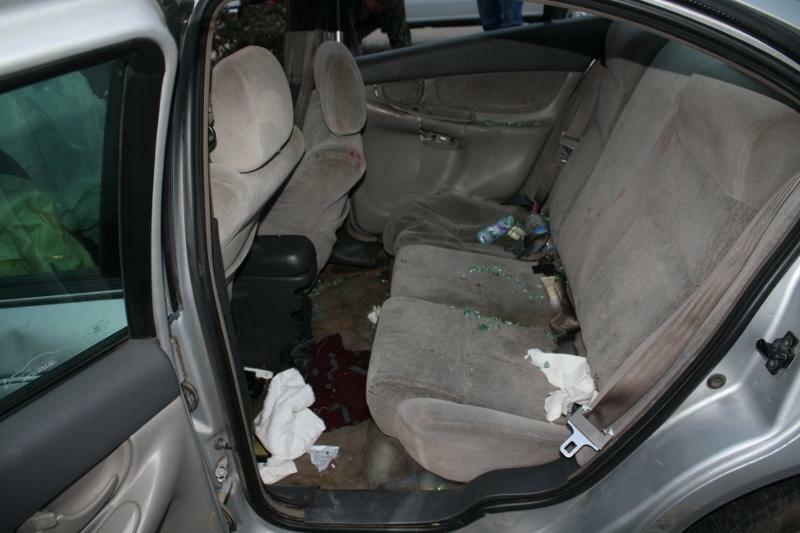 The 2004 Oldsmobile Alero was broadsided at the intersection and knocked onto the sidewalk of FM-350 South. 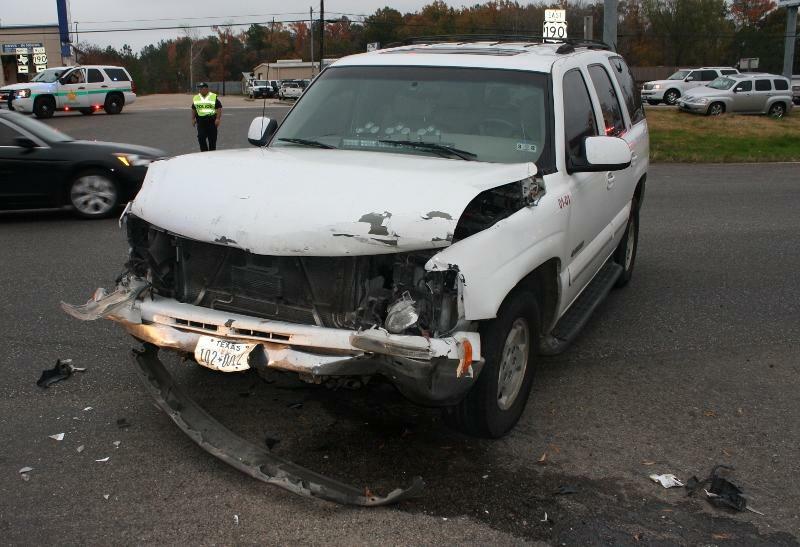 Failure to Yield, 4 Hospitalized in Accident, LIVINGSTON, December 17, 2011 - At approximately 4:45 pm on December 16, 2011, a white 2001 Chevy Tahoe, driven by John Maddox of Onalaska was east-bound on US-190 West near FM-350 South. 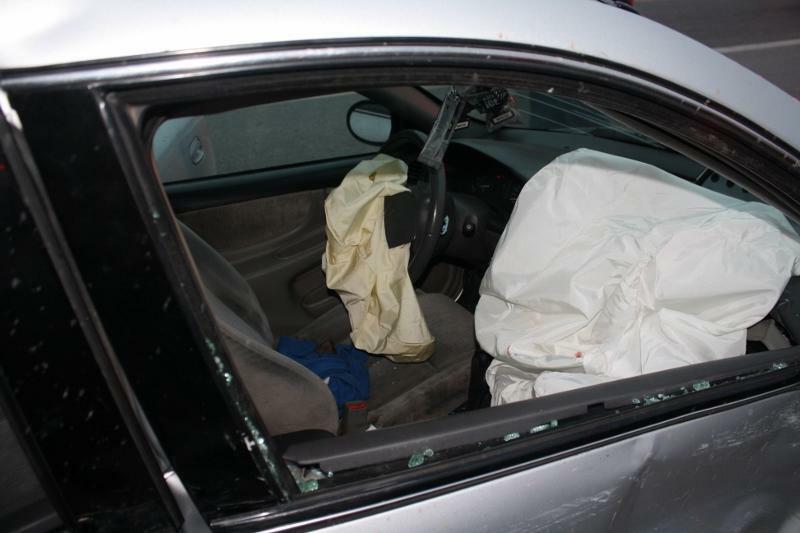 Maddox slammed into a silver 2004 Oldsmobile Alero driven by Dekarian Wyatt, 18, of Livingston. Wyatt attempted to cross over from the west-bound lanes of 190 onto FM-350 but failed to yield to Maddox's east-bound vehicle. 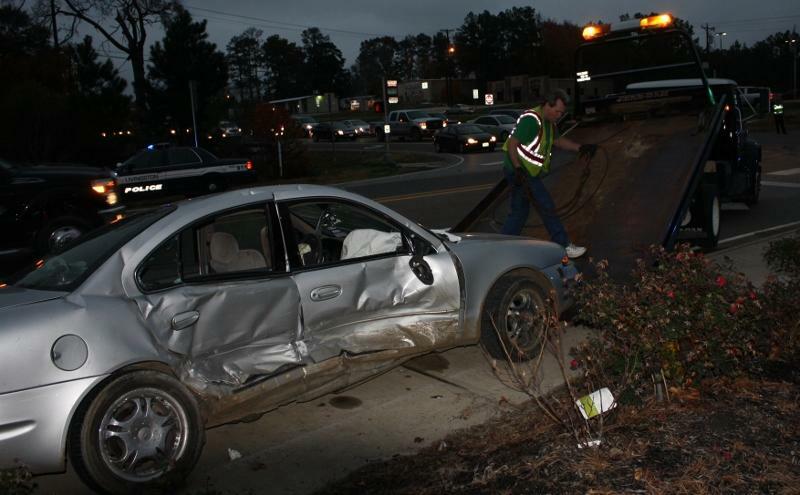 Maddox broadsided Wyatt's car and knocked it off the road onto the sidewalk on 350. Maddox's vehicle spun around facing south in the middle of 190. 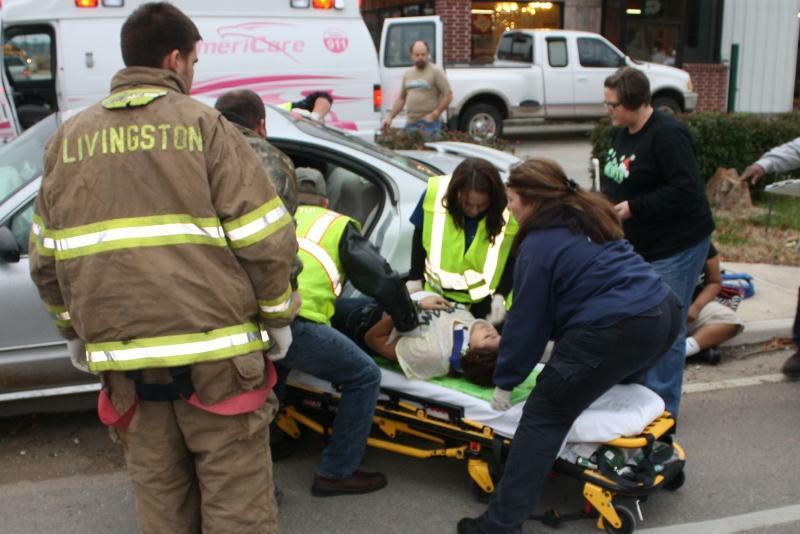 Americare Ambulance Service was dispatched to the scene along with Officers from the Livingston Police Department including Officer Kevin Blackburn and Brandon Brewer. 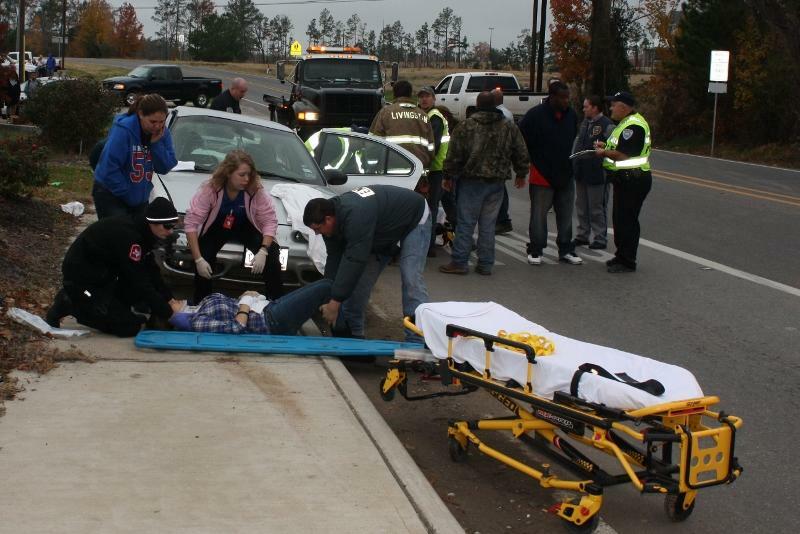 Wyatt was clearly distraught at the site of the accident that he apparently caused when he failed to yield and at the site of his passengers being treated by EMS personnel. Wyatt was physically okay but his 4 passengers were treated at the scene and transported by ambulance to Livingston Memorial Hospital with non-life-threatening injuries. Maddox was also physically okay. Traffic on 350 South was completely blocked and traffic on the east-bound side of 190 was partially blocked during investigation and cleanup. 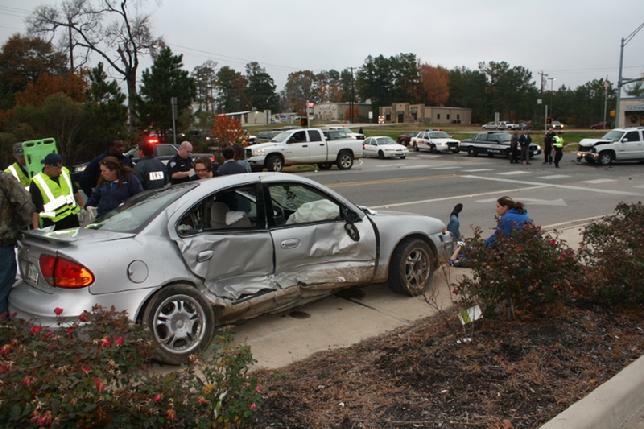 According to Officer Blackburn,Wyatt will be cited for failure to yield right-of-way. A rollback wrecker from George White Wrecker Service recovered Maddox's vehicle and it will be stored in Onalaska, while Wyatt's vehicle was recovered by a rollback wrecker from Fawbush Wrecker Service and will be stored in Goodrich. The scene was cleared by 5:30 pm. 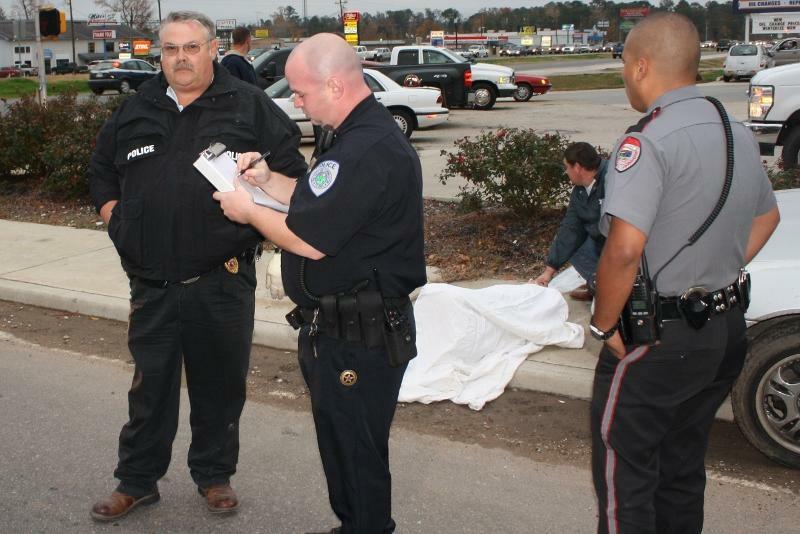 Officer Brandon Brewer (center) gathers information from John Maddox (left). 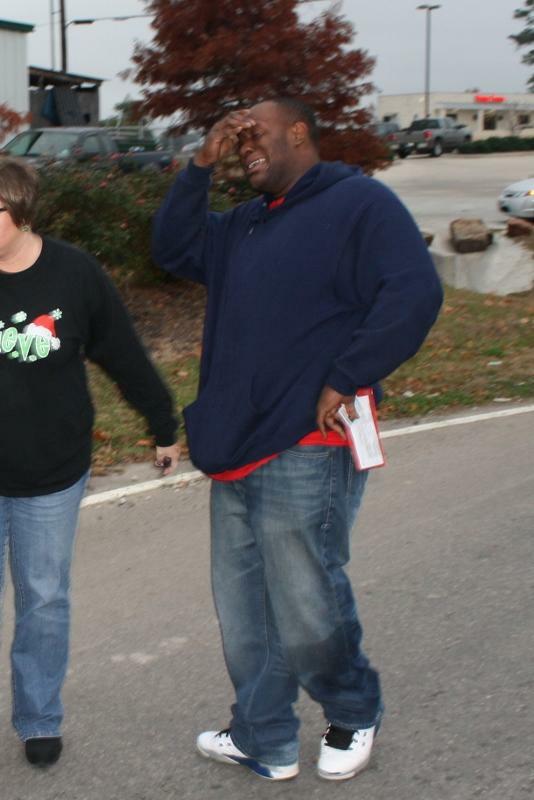 Driver Dekarian Wyatt was clearly distraught at the site of the accident when he failed to yield to Maddox. Maddox's 2001 Chevy Tahoe appears to be totaled. 4 passengers from Wyatt's vehicle were hospitalized. 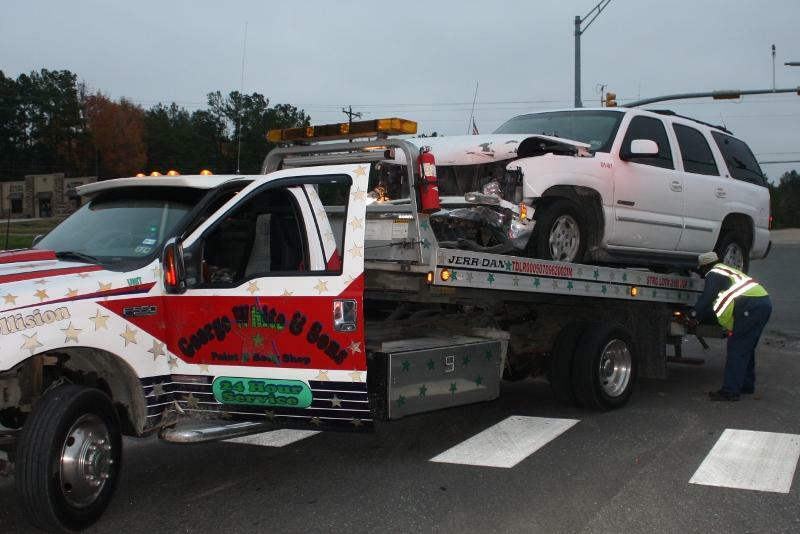 John Maddox's vehicle was recovered by George White Wrecker Service. Wyatt's vehicle was recovered by Fawbush Wrecker Service and will be stored in Goodrich.